It is difficult to overstate the importance of the students’ sharing music with the Professor of Paris Conservatory, cellist Jérôme Pernoo; Professor of P. Tchaikovsky Moscow State Conservatory, violinist Alexander Trostiansky; Professor of Hannover University of Music, Drama and Media, pianist Igor Tchetuev; professors of the Geneva University of Music, French horn performer Jean Pierre Berry, trombonist Jacques Mauger, violinist Sergey Ostrovsky; professors of the Bern University of Arts cellist Denis Severin and pianist Tatiana Korsunskaya; Associate Professor of P. Tchaikovsky Moscow State Conservatory, pianist Viacheslav Poprugin; Professor of the Zhyganov Kazan State Conservatory, pianist Yevgeniy Mikhailov; Soloist of the Göttingen Symphony Orchestra, tuba performer Rubén Durá de Lamo; concert pianists Pavel Dombrovsky, Alexander Romanovsky, Vadym Kholodenko; conductor of the Ashdod Symphony Orchestra Vag Papian and many other famous musicians. 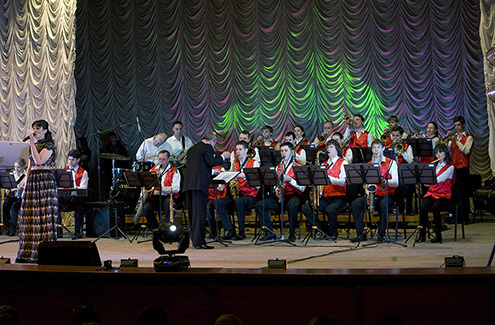 Among the creative teams of M. Glinka Conservatoire of Dnipropetrovsk the Wind Band (conducted by Igor Gruzin) boasts the highest functionality and the widest scope of possibilities. The group’s high mobility, ability to perform outdoors, versatile palette of genres (from traditional marches and waltzes to modern academic music) makes this orchestra desirable on many stages not only of Dnipropetrovsk but also of the entire central region of Ukraine. 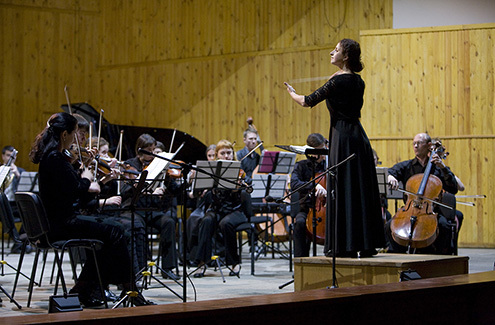 The Chamber Orchestra of M. Glinka Conservatoire of Dnipropetrovsk (conductor – Maria Yemets) has a special place in the cohort of creative teams of our educational institution. The peculiar features of the orchestra come mainly from the nature of the chamber music-making. 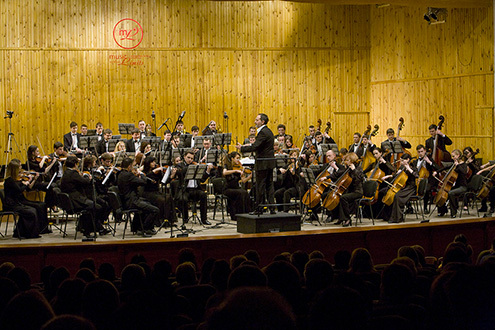 Performers on string instruments, of which a chamber orchestra consists, form, compared to the symphonic, wind, and folk orchestras, a small group of musicians. Such orchestra has not only exceptional mobility presents concerts, but also, most importantly, has a unique opportunity to implement the music of the Baroque and Early Classicism. During this period a chamber orchestra was the main type of orchestral group for which many musical masterpieces were created by A.Vivaldi, G.Ph. Telemann, J.S. Bach, G.F. Handel, A. Scarlatti, J. Haydn, W.A. Mozart and other composers. 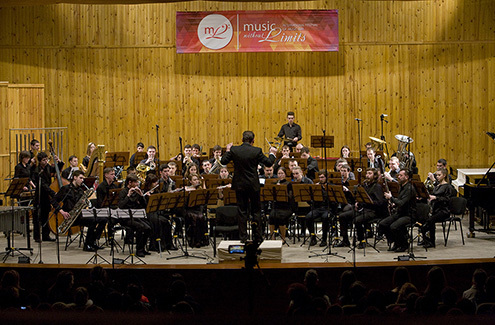 The Big Band (conducted by Y. Palamarchuk), the youngest orchestral representative, boasts exceptional originality among the creative teams of M. Glinka Conservatoire of Dnipropetrovsk. Its basic characteristic traits are the originality of the repertoire palette, jazz orchestra instruments and the creativity of the orchestra’s performing activity. 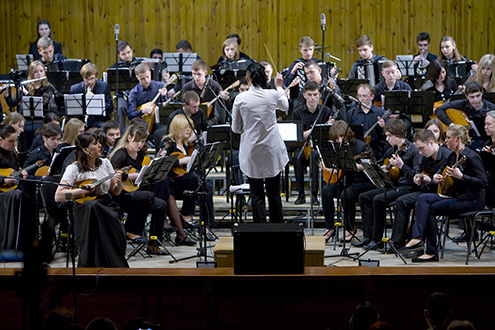 The Folk Orchestra is the most original creative group of M.GLINKA DNIPROPETROVSK ACADEMY OF MUSIC. Its uniqueness lies in the variety of timbre tones (struck string, mechanical wind, percussion instruments), and in the closest relationship with national folk origins. The folk art is the Ukrainian talisman of culture, which not only gives inexhaustible inspiration to artists, but also becomes effective force to assert national identity based on human dignity and piety. 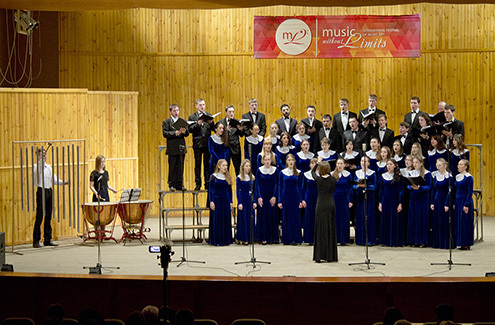 Among the performance groups of M. Glinka Conservatoire of Dnipropetrovsk there is a large mixed choir under the guidance of Yulia Ivanova and choirmaster Taras Hmyliuk the most peculiar feature of which is its musical language. The natural synthesis of speech and music, indivisibility of verbal reproduction of text from the multifaceted palette of musical means creates exceptional opportunities for the birth of a wide range of artistic imagery. © 2015. Music without limits.